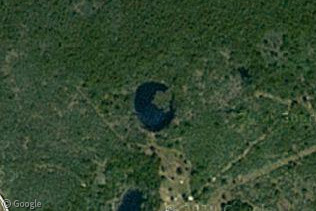 The term “blue hole” is given to sinkholes filled with water where the entrance is below the surface; but they are perhaps more accurately described as “vertical caves”. These caves were formed through normal erosion until the end of the last ice age, when water levels rose to engulf them. Dean’s Blue Hole is a spectacular underwater sinkhole situated in a bay on Long Island in the Bahamas, which as well as being perhaps the finest example of these incredibly beautiful geological features, also has the distinction of being the world’s deepest blue hole. Although relatively small in initial diameter at around 35 metres (115 ft), where Dean’s Blue Hole is unique is in its depth – at 202 metres (663 ft) it descends nearly twice as far as any other known blue hole. Due to the unique geology of the Bahamas, there are dozens of smaller water-filled caves to be found, many of which are accessible to divers who wish to explore the cave systems they reveal. Sawmill Sink, where numerous pre-human fossilised remains have been discovered. 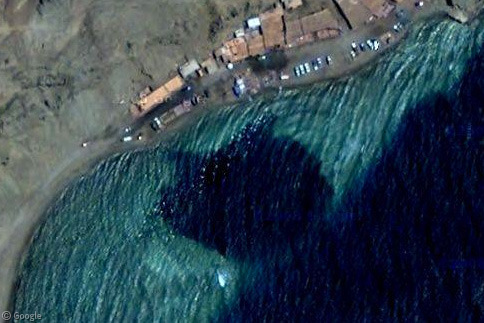 Other blue holes have been found all over the world, such as the second deepest – the 130 metre (360 ft) Blue Hole on the coast of the Red Sea, which due to having claimed the lives of between 40 and 80 divers is known as “the World’s Most Dangerous Dive Site”. The largest known entrance to a Blue hole is that of the Great Blue Hole in Belize, which is some 300 metres across. There are (of course) water-filled sinkholes far deeper even than Dean’s Blue Hole, such as El Zacatón in Mexico (335m / 1,099 ft) and Pozzo del Merro in Italy (392m / 1,286 ft), but without the spectacular visual contrast between deep and shallow water of a true blue hole, from our aerial viewpoint they seem far less impressive. 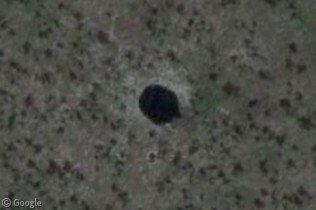 There’s more info about blue holes at Wikipedia and the Wondermondo site has an impressive amount of sinkhole information. 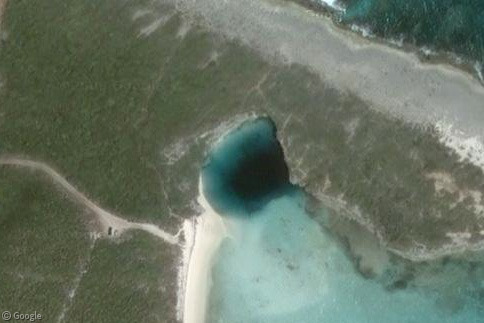 Do you know of any other blue holes we should mention? Post a comment with a link! There are several around Malta, here, here, and somewhere around here. 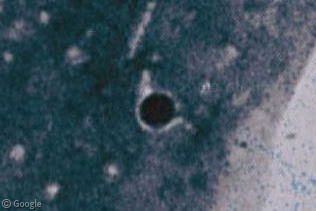 A sink hole, yes but Is it not an old lave tube?